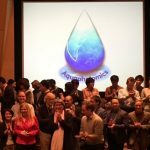 The Second Aquaphotomics International Symposium took place at Kobe University in Japan, from November 26 to 29, 2016. The conference attracted more than 70 researchers from different disciplines and from more than 10 countries of all continents. The conference reflected the multiplicity of projects and publications that aquaphotomics science is now inspiring. 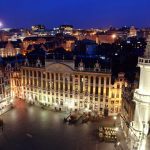 The First Aquaphotomics International Symposium took place in Belgium, on October 14, 2014.